Serving the Communities & Surrounding Areas of Brownsville, Halsey, Shedd & Peoria, Oregon. Many questions are straight forward, like your social security number. But many questions are asked specifically for purposes of student financial aid. Common words like “household,” investments,” and even “parent” may have special meaning. Read all instructions carefully. If you have questions you may contact your counselor, Rex Hoffman, at Central Linn. State and school deadlines will vary and tend to be early. Check with then to find out their exact deadline dates. 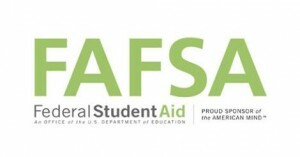 The U.S. Department of Education will process your FAFSA if received on or before the deadline. However, to actually receive aid, your school must have correct, complete FAFSA information. It is recommended that you fill out a FAFSA pin application in November in order to electronically file in January (you may also file by paper without an electronic pin). The first day may fill out the FAFSA is January 1st. The sooner you fill out your form the more aid you will receive. To obtain a FAFSA PIN and apply on-line go to FAFSA.ed.gov. We recommend that you and your student complete your tax return before filling out your FAFSA. This will make completing the FAFSA easier. If you have not filed your tax return yet, you can still submit your FAFSA but you must provide income and tax data. Once you and your student file your tax return, you must correct any income or tax information that changed. Why does the FAFSA ask so many question? Your FAFSA responses are entered into a formula (known as Federal Methodology), which is required by the Higher Education Act of 1965. The result is your Expected Family Contribution, or EFC. The EFC is a number that measures your family’s financial strength. It is subtracted from the Cost of Attendance at the school(s) you plan to attend which determines your eligibility for federal student aid. How much aid do I get? The school use your EFC to prepare a financial aid package (grants, loans, and/or work-study) to help you meet your financial need. Financial need is the difference between your Expected Family Contribution and your school’s cost of attendance, as determined by the school. If you or your family have special circumstances that impact your financial situation, contact your school’s financial aid office. Some examples include; unusual medical or dental expenses, or a large change in income form last year to this year. When do I get the aid? Your financial aid will be paid to you through your school. Typically, your school will first use the aid to pay tuition, fees, and room and board (if provided by the school). Any remaining aid is returned to you for your other expenses, such as books. © Copyright 2019, Central Linn School District. All rights reserved.